Common Security Threats to website Database: Data stored on a website has become the most valuable asset for any organization. To make the retrieval and maintenance of data easy and efficient it is stored in a database. Considering the importance of data it is essential to secure it. Securing the database in today’s world is one of the important and challenging tasks that people are finding all over the world in every aspect of their lives. Protecting the confidential/sensitive data stored in a repository is actually the database security. There are various security layers in a database. These layers are: database administrator system administrator, security officer, developers and employee, and security can be breached at any of these layers by an attacker. You may not think your site has anything worth being hacked for, but websites are compromised all the time. The majority of website security breaches are not to steal your data or mess with your website layout but instead attempts to use your server as an email relay for spam, or to set up a temporary web server, normally to serve files of an illegal nature. Other very common ways to abuse compromised machines include using your servers as part of a botnet, or to mine for Bitcoins. You could even be hit by ransomware. When hackers and malicious insiders gain access to sensitive data, they can quickly extract value, inflict damage or impact business operations. In addition to financial loss or reputation damage, breaches can result in regulatory violations, fines, and legal fees. Therefore securing the website database is the most important thing for any small or large organizations. When users are granted database privileges that exceed the minimum requirements to carried out their job, these privileges may be used to gain access to confidential data. For example, In case of a WordPress website by mistake an editor is granted all the permission of Admin account. Therefore he may modify, delete or insert new data into the website. Users may misuse legitimate data access privileges for unauthorized purposes. For example, a user with privileges to view individual patient records via a custom healthcare application client may abuse that privilege to retrieve all patient records via a MS-Excel client. Attackers may take advantage of vulnerabilities in database management software to convert low-level access privileges to high-level access privileges. For example, an attacker might take advantage of a database buffer overflow vulnerability to gain administrative privileges. SQL injection attacks involve a user who takes advantage of vulnerabilities in front-end web applications and stored procedures to send unauthorized database queries, often with elevated privileges. Using SQL injection, attackers could even gain unrestricted access to an entire database. Weak audit policy and technology represent risks in terms of compliance, deterrence, detection, forensics and recovery. Unfortunately, native database management system (DBMS) audit capabilities result in unacceptable performance degradation and are vulnerable to privilege-related attacks — i.e. developers or database administrators (DBAs) can turn off auditing. Most DBMS audit solutions also lack necessary granularity. For example, DBMS products rarely log what application was used to access the database, the source IP addresses and failed queries. Denial of service (DoS) may be invoked through many techniques. Common DoS techniques include buffer overflows, data corruption, network flooding and resource consumption. The latter is unique to the database environment and frequently overlooked. Weak authentication schemes allow attackers to assume the identity of legitimate database users. Specific attack strategies include brute force attacks, social engineering, and so on. Some recent high profile attacks have involved theft of database backup tapes and hard disks. All backups should be encrypted. 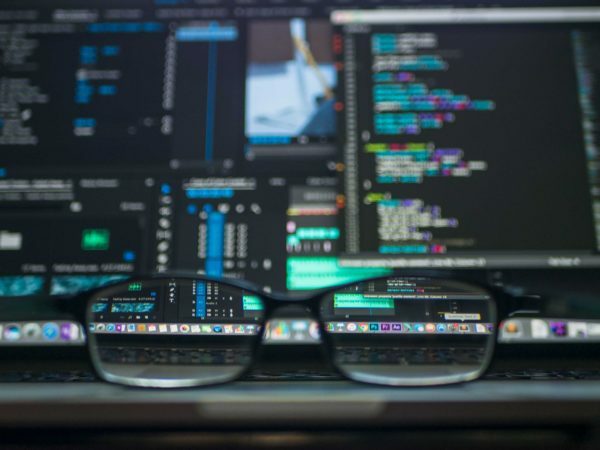 Operating systems vulnerabilities and additional services installed on a database server may lead to unauthorized access, data corruption, or denial of service. For example, the Blaster Worm took advantage of a Windows 2000 vulnerability to create a denial of service conditions. Even in secure DBMSs, it is possible for users to know some sensitive information from the information they obtain from the database. An attacker can draw an inference from a database when the user can guess or conclude more sensitive information from the retrieved information from the database or additionally with some prior knowledge.